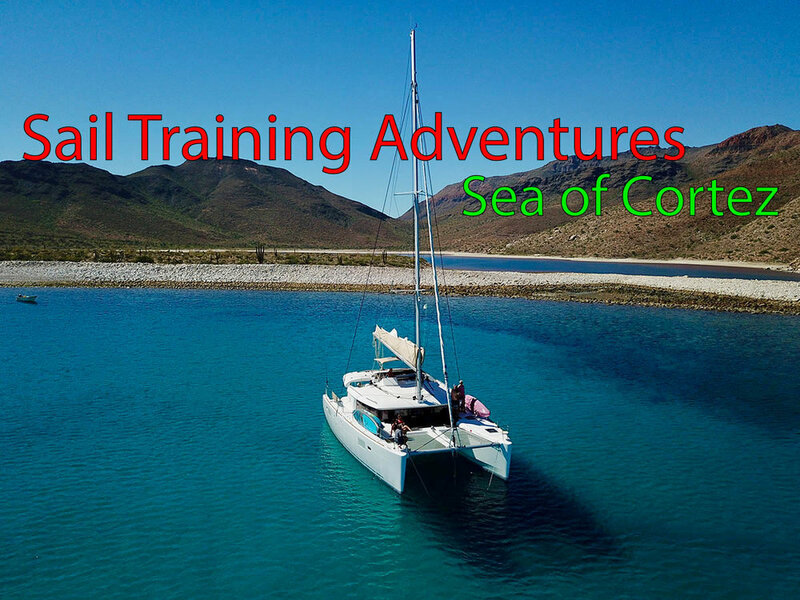 Sail Training Adventures in the Sea of Cortez, Catalina, and the Channel Islands. We’ll Help You Reach Your Sailing Goals! Our students are interested in exploring the world of sailing, and their interests range from becoming a qualified crew member to cruising the world, and everything in between. Many just want to get good enough to charter a boat for a weekend at Catalina, and others need their SLC Mediterranean Sailing License to charter in the Med. Some are acquiring their first small sailboat or stepping up to a larger monohull, and still others and prepping for that huge catamaran they want to charter in Tonga. What our students all share is the DESIRE to get from where they ARE to where they want to BE. Answering that call is why we are here. It’s what we do best. Many of our students come to us not knowing what they don’t know. When they learn they can voyage to distant shores, anchor in a secluded cove, manage the boat, the crew, and even handle heavy weather, it feels like a little bit of magic is taking place. We love to offer resources on The Best Way to Become a Better Sailor, however that looks for you. If you want to get somewhere in the world of sailing, even if you’re not sure exactly where that is, see our sailing classes below and find out what the possibilities are. Then contact us for more info. We’re committed to helping you get from where you are to where you want to be. I had the pleasure of working with Marc as he was writing his excellent guide to Catalina Island, entitled “Anchoring At Catalina. No Moorings. No Problem.” This consisted of a several day trip around the island in a 30’ sailboat, anchoring and getting photographs at all the sites. I learned more in that weekend than everything else combined.